Best of Nepal Tour is a perfect tour package in Nepal that includes naturally awesome places and culturally significant monuments and heritage sites. 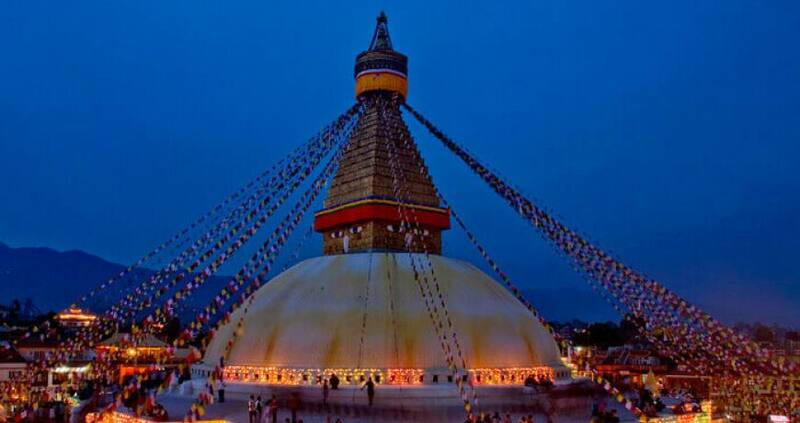 Nepal Best Tour begins with a Kathmandu city sightseeing that offers you to explore the Hindu and Buddhist religious sites as temple and stupas along with Durbar Square. Driving to Pokhara, you transfer to Sarangkot, with an hour uphill drive. Nepal Kameleon Holidays organize this tour differently so that you can directly go to sit on the lap of Annapurna region Himalayas. Exploring the sunrise view over the Himalayas, you still have an opportunity to enjoy the paragliding experience. A city tour in Pokhara offers different sceneries of visiting some of the popular sites as Davis falls, Mahendra cave, Bindhawasini temple and others. From Pokhara, you drive to Chitwan National Park. It is a wonderful destination for the jungle safari tour. Elephant back jungle safari, jungle walk, canoe ride, Tharu cultural program entices you. Lumbini is the last destination of the Best of Nepal Tour. Visiting the birthplace of Lord Buddha, you can do Lumbini sightseeing tour. Historical palace, garden, monasteries and other sceneries attract you. Many historically significant materials are kept in the museum. Concluding the tour, you drive or fly back to Kathmandu. Day 03: Fly/drive from Kathmandu to Pokhara and drive to Sarangkot. Day 04: Enjoy the sunrise view, Paragliding (optional on your own expense) and Pokhara sightseeing. Day 06: Jungle safari tour and Tharu cultural attractions. Day 09: Drive/flight from Lumbini to Kathmandu. Please note that, we can customize the tour itinerary. If you have your own itinerary, please, let us know. Swayambhunath (Monkey Temple): The temple is located at the top of the hill in Kathmandu, which is a 5th century religious significant site. It is regarded as a self-sprung monumental site. 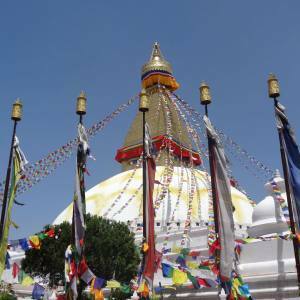 For the Buddhist pilgrimage trip or tour in Nepal, Swayambhunath stupa remains the first selection in the Kathmandu valley. One of the UNESCO monumental sites, Swayambhunath is also popular as the monkey temple, having uncountable monkeys. Newari Buddhism is one of the major features here, which is known as Vajrayana. The eyes of Buddha represent wisdom and compassion. Climbing the steps up the hill top is believed to be the ladder to lead you to the state of enlightenment. Pashupatinath Temple: The temple is one of the most sacred and popular pilgrimage destination for the Hindu devotees around the world. It is located on the banks of the holy Bagmati River, about 5 km distance at the east of the valley. It is listed as UNESCO site and travelers love to explore the 15th century arts and architectures around the area of the temple. It has got wonderful pyramid shaped temples, extensive cultural heritages, Ashrams for the old people and Sadhus along with remarkable inscriptions. It becomes very special during the Shivaratri festival and nearly one million people visit the Pashupatinath temple.